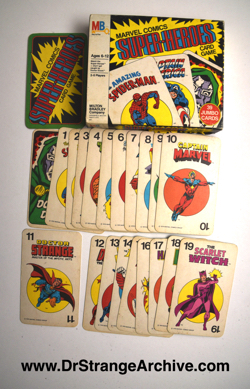 Size: 7 1/2" x 6 1/8"
Description: This is a Marvel card game for ages 6-12 that features several Marvel characters on each card. Dr. 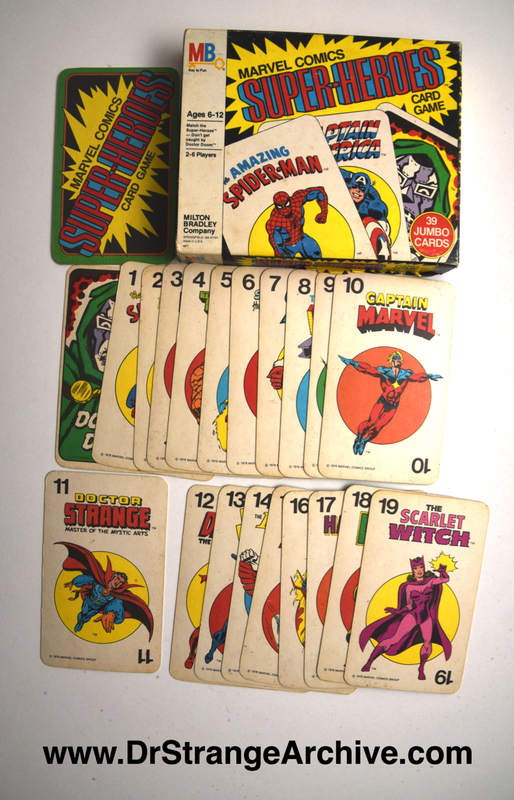 Strange is card number 11. Each card measures 3 1/2" x 5 2/4".